My husband gave me a Peugeot pepper grinder for Christmas this year, and it reminded me of the year I spent working at Peugot's headquarters in Paris. The Peugeot company is now one of France's big 3 automotive makers along with Renault and Citroen. Peugeot and Citroen are two brands of the same car manufacturer, PSA Peugeot Citroen, which is where I worked. So how does one go from Peugeot pepper grinders to Peugeot cars? The answer is .... Gears. Some of the same gears that crush peppercorns are also used in the manufacturing of automobiles. In 1810, the Peugeot family began manufacturing pepper grinders, and followed twenty years later by making bicycles. Both sides of the business are still in existence today, but they have been sold and are now operated independently from the automotive operations. My first bike was a Peugeot model, and my first car was a Peugeot 205. The Peugeot brand is know mainly for its small city cars, and for using numbers with one or two zeros in the middle of the model name (206, 607, 1007, etc...). I owned a 205, and my mother had a 106, which got upgraded to a 206. I still drive the 206 when we are in France. The brand has had great success in rally competition and sports car endurance races like the famous "24 heures du Mans" race. However, the Peugeot Sport engineers did not fare as well when they tried their hand at Formula 1 racing engines. 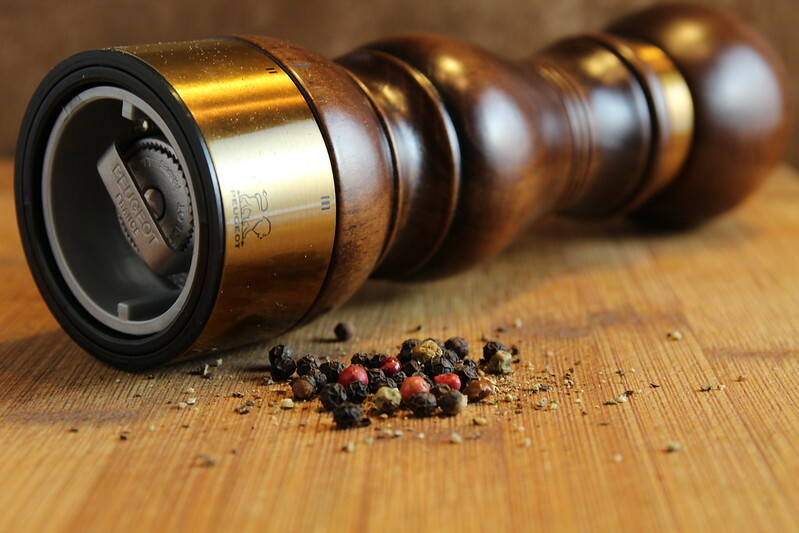 The Peugoet pepper grinder has 6 positions allowing you to choose from extra fine to very coarse. You could use the ultra fine if you are seasoning a veloute soup where you would want the spices to disappear into the dish. There really is no substitute for fresh cracked pepper. The grinders are mainly used for pepper but it's possible to put coarse sea salt in them to allow for grinding the salt in the same variety of consistencies. 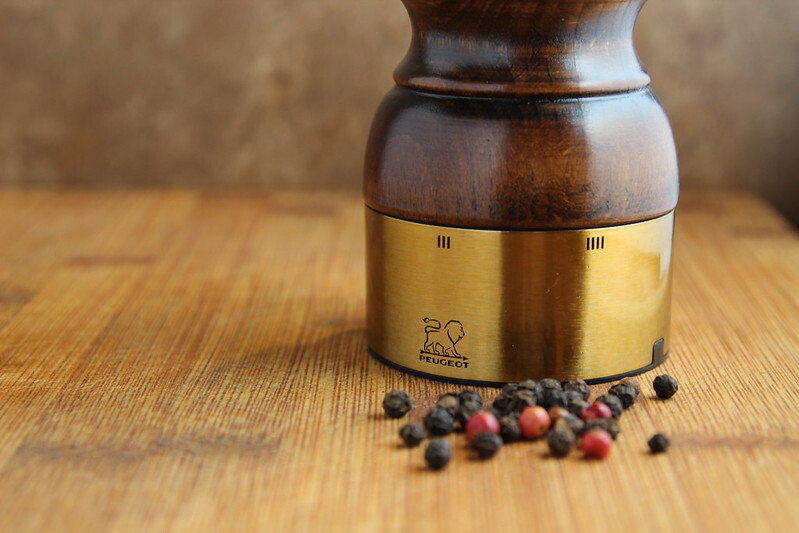 Our grinder is loaded with a mixed peppercorn blend that features green, white, red and black peppercorns. It is a 85-5-5-5 ratio (black-red-white-green). The best of all 4 worlds! Hello Alixuss. Very beautiful mill. Could you indicate the specific model? Thank you very much. Thank you Rui. We had the mill for quite some time and we didn't keep the original packaging it came in. There's no serial number that can easily been seen on the item either so I can't confirm the exact model. However it is very similar to the U Select 9 inch model that is currently available at multiple retailers.